I am sprucing up my Demo and to make sure I appease the Demo Gods I am removing the rooms for error by managing permissions to its least complex denominator. As such I am going to run in the context of the BCS Service App Pool Account. 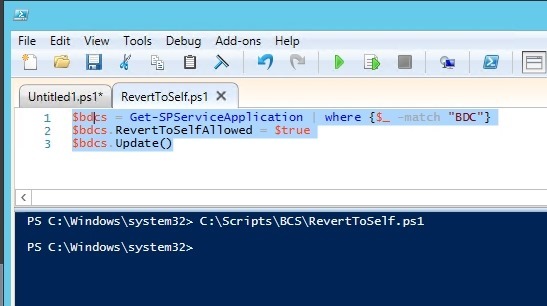 In order to do that you will need to run a PowerShell command as it is disabled by default Out of Box (OOB), here is how you do it.